Philadelphia Trolley Tracks: Schuylkill Valley Traction Co. 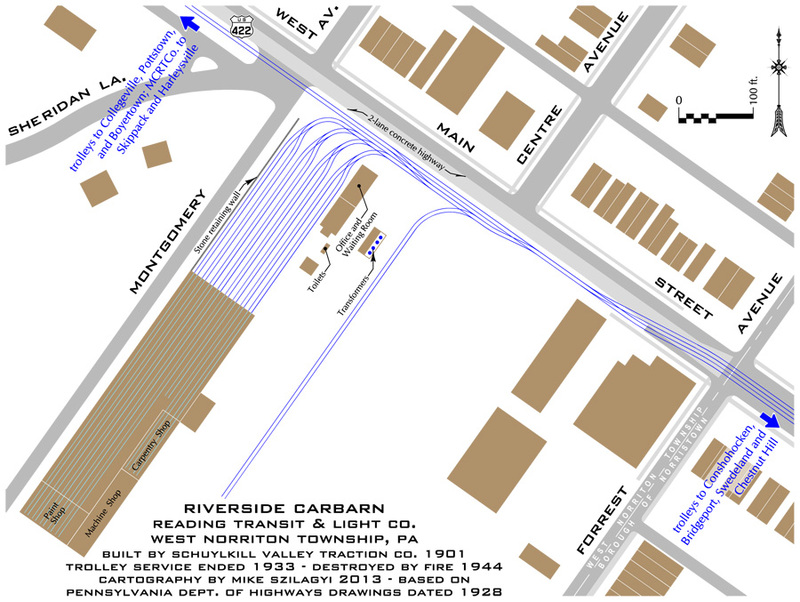 This map shows trolley tracks on West Main Street, and at Riverside carbarn in West Norriton Township. After the end of trolley service in 1933, the carbarn was converted to a potato chip factory. It burned to the ground in a spectacular fire on July 9, 1944. Click on the map to download a high-resolution vector-based pdf.